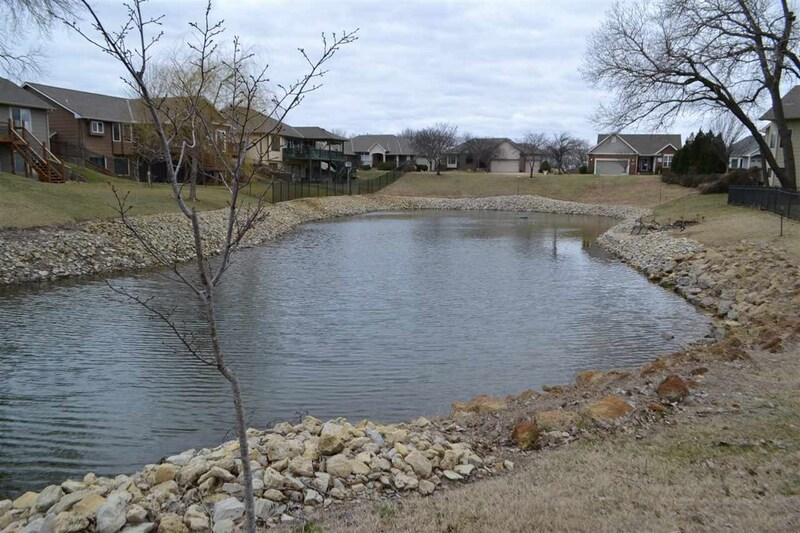 Fantastic Lake Lot with Incredible Views and Privacy! 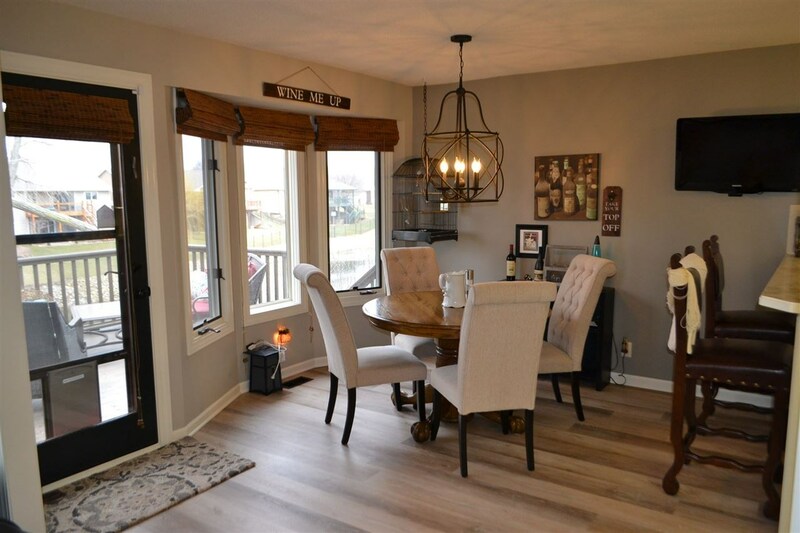 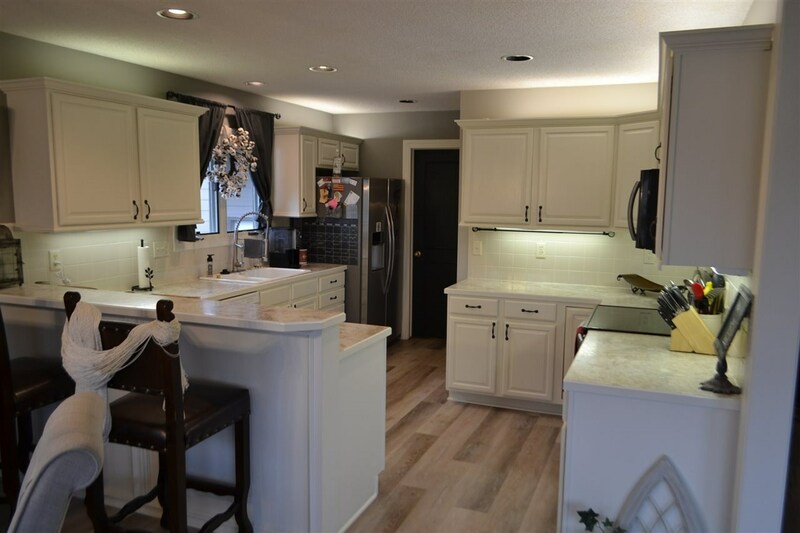 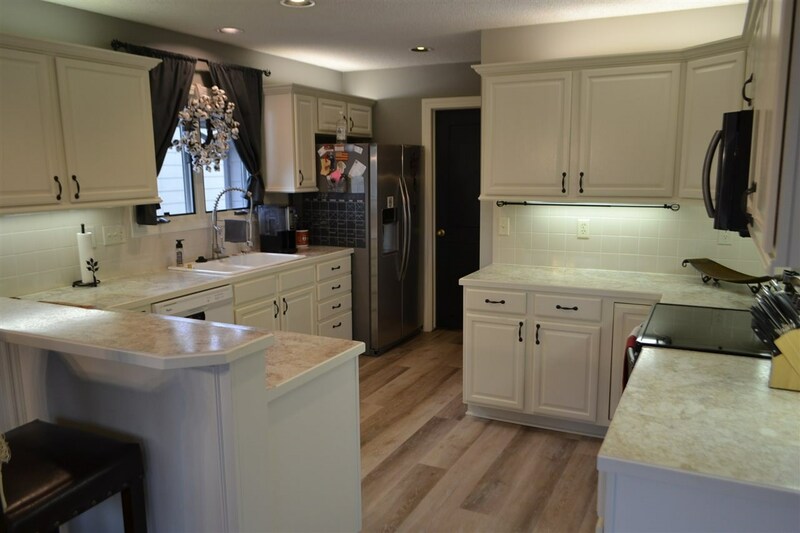 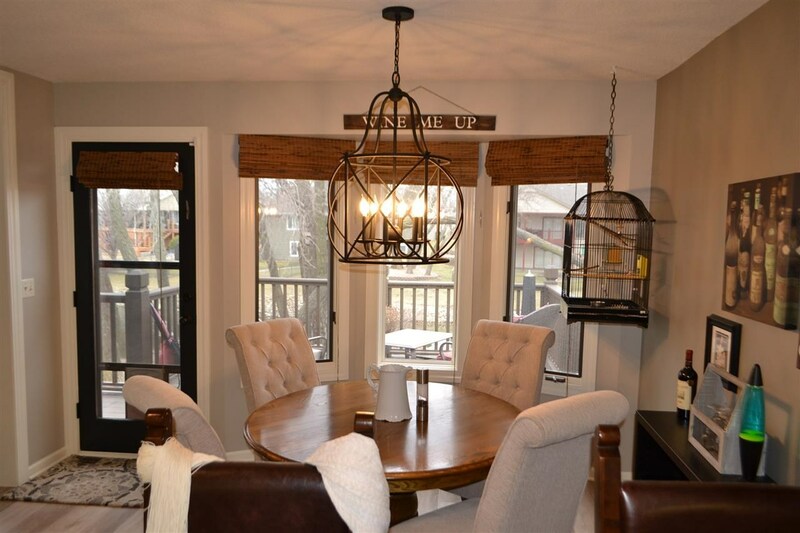 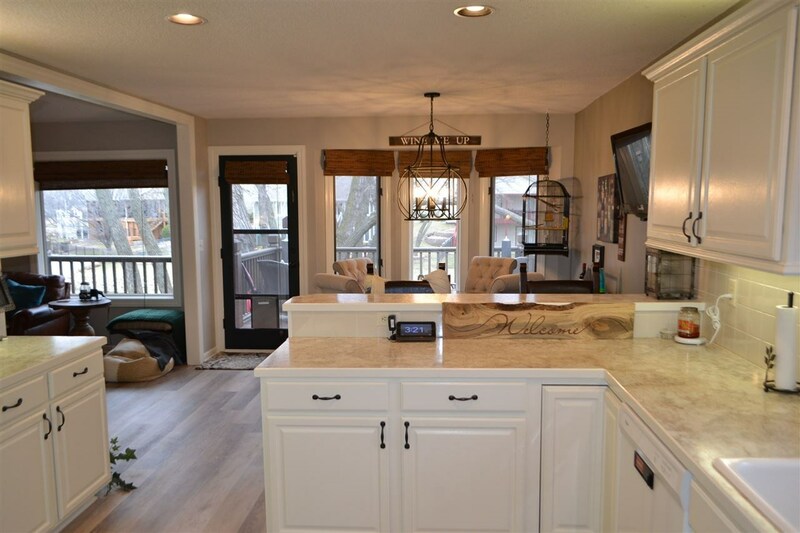 Sharp ranch with fabulous updates that include new interior paint, painted trim and doors, new Luxury Vinyl Plank flooring in living, 2 dining areas, kitchen and entry, upgraded landscaping in front, new exterior paint, new guttering with covers and added rocks around lake! 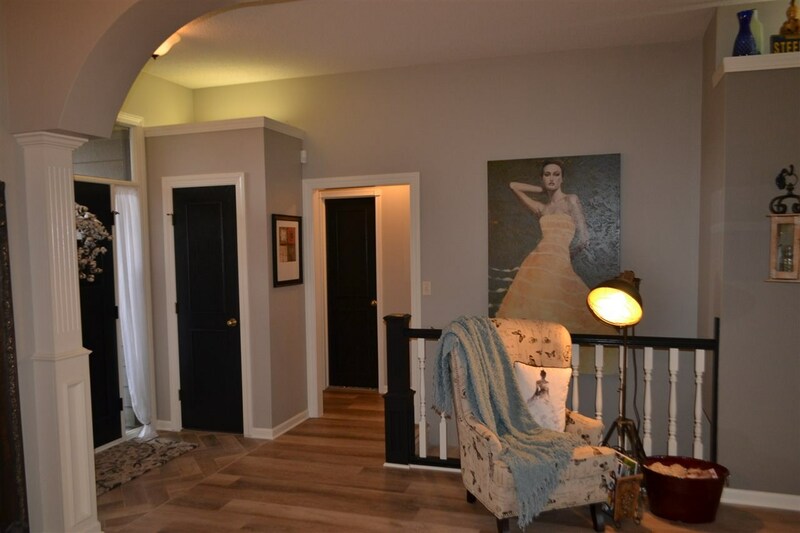 Wood paneled entry door with two sidelight and transom window, plant shelf with light, 10ft ceiling, entry closet and Herringbone LVP flooring! 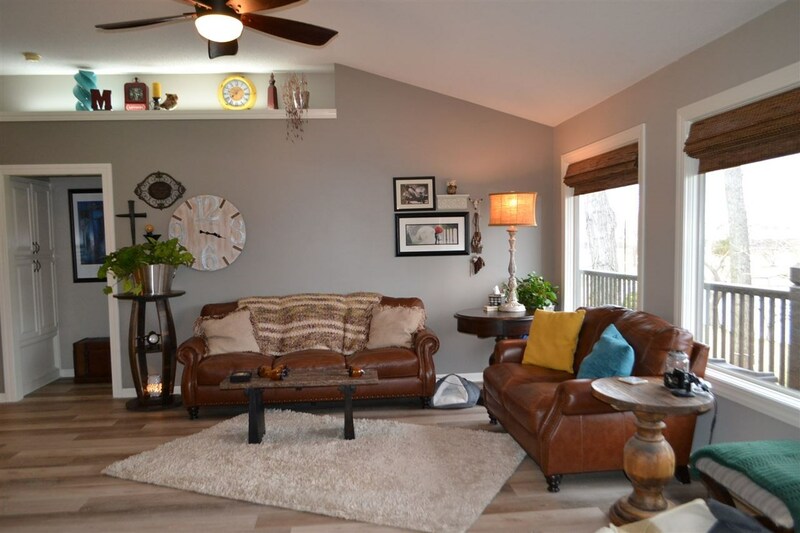 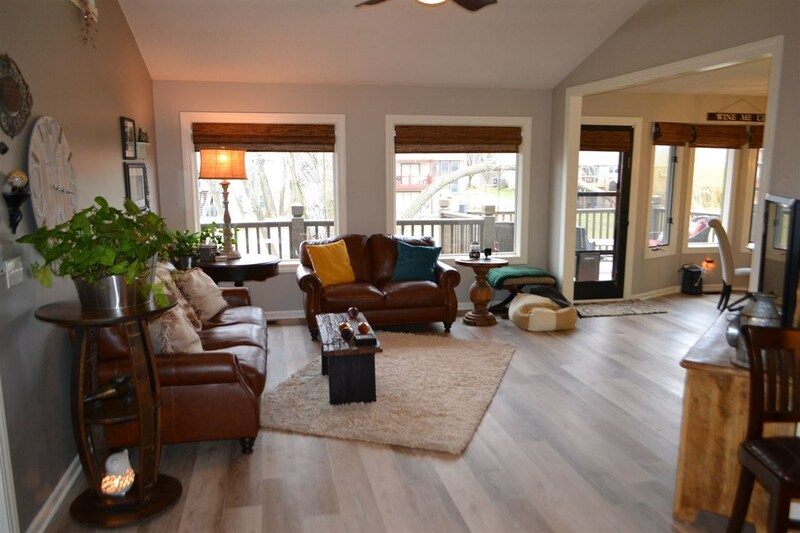 Sharp living room with large picture window, plant shelf with lighting, ceiling fan, 10ft ceiling, LVP flooring and open rail stairway! 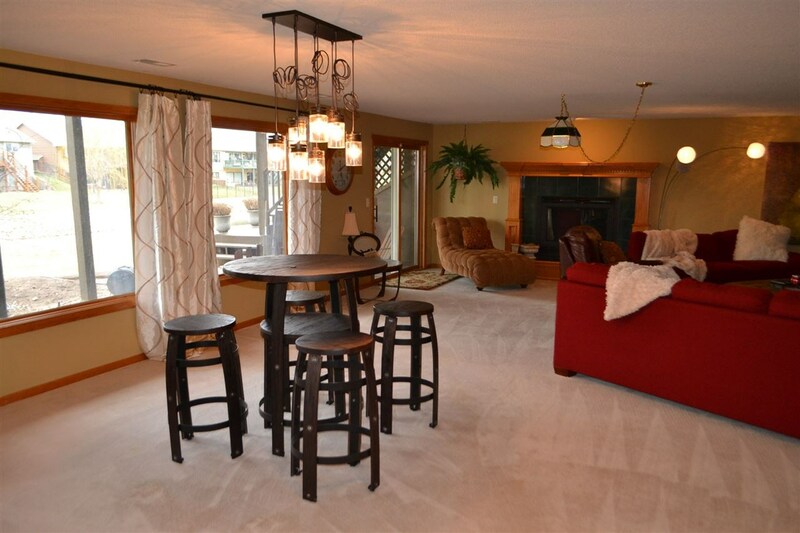 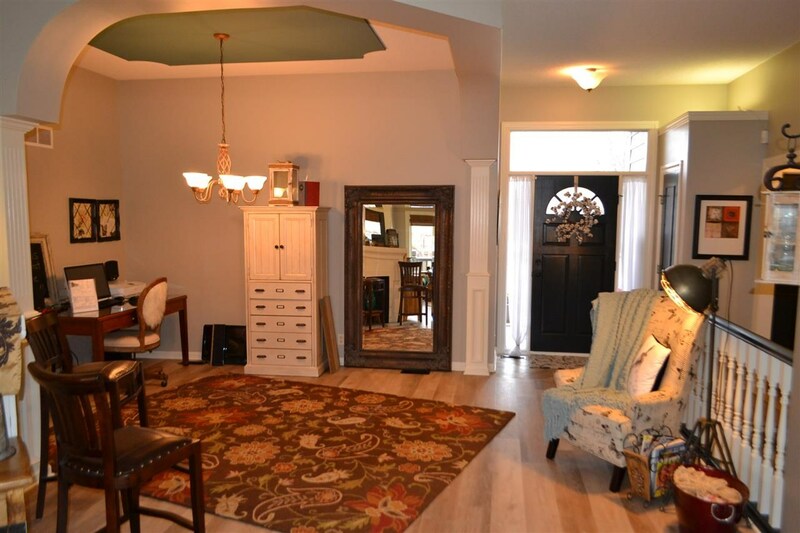 Formal dining room wood columns and arched ceiling entry, sculptured ceiling and LVP flooring! 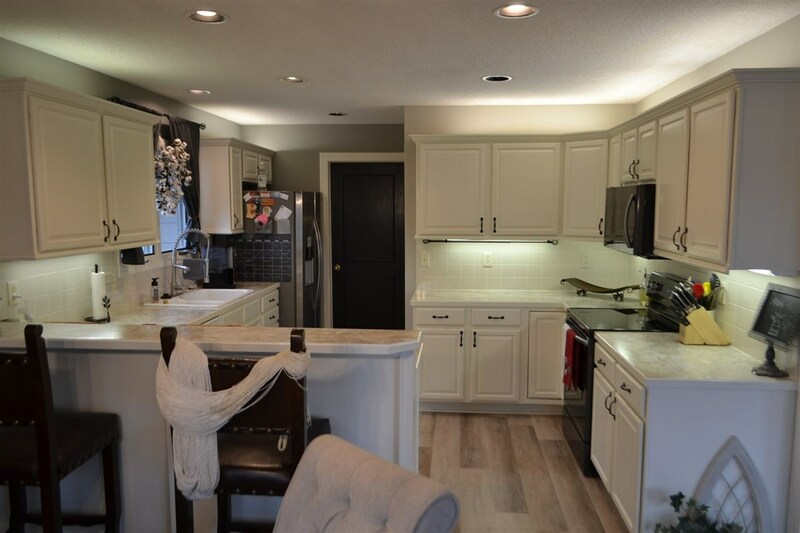 Fantastic kitchen with tons of whitewood cabinetry with undercounter and over cabinet lighting, lazy susan, range, built-in microwave, dishwasher, sink with upgraded faucet and window above, LVP flooring and raised eating bar with wood back! 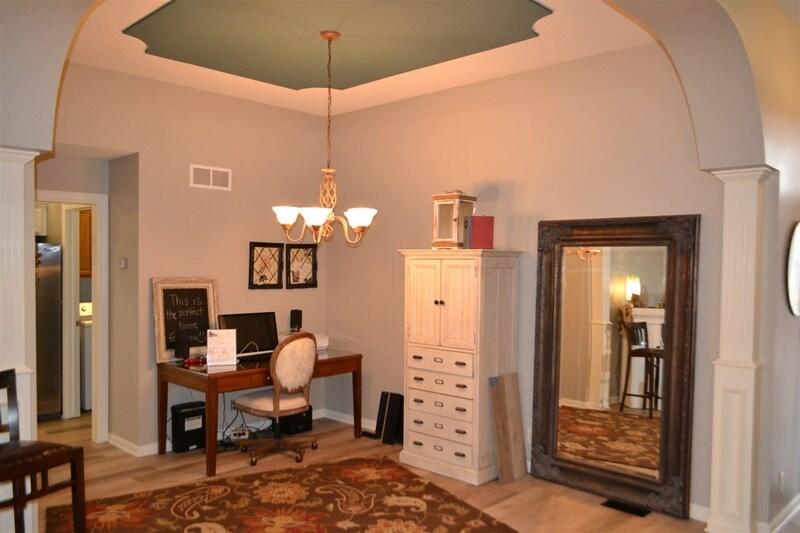 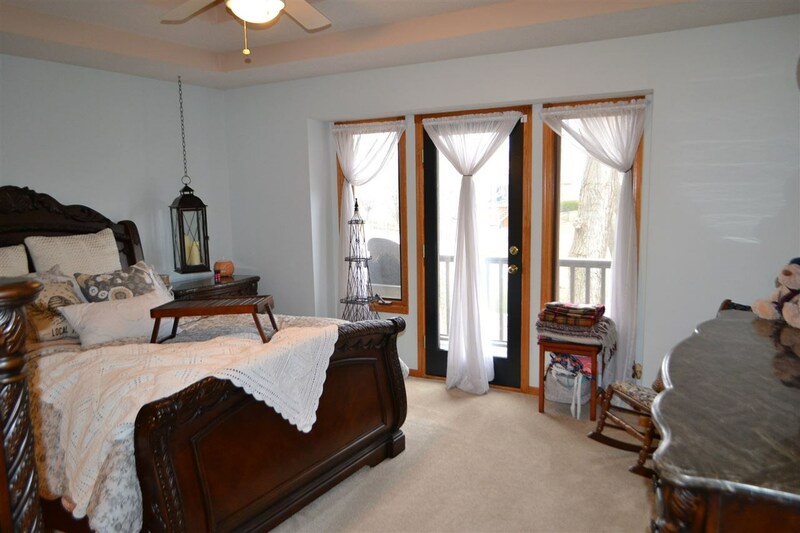 Super master bedroom with stairstep recessed ceiling, door to deck and ceiling fan! 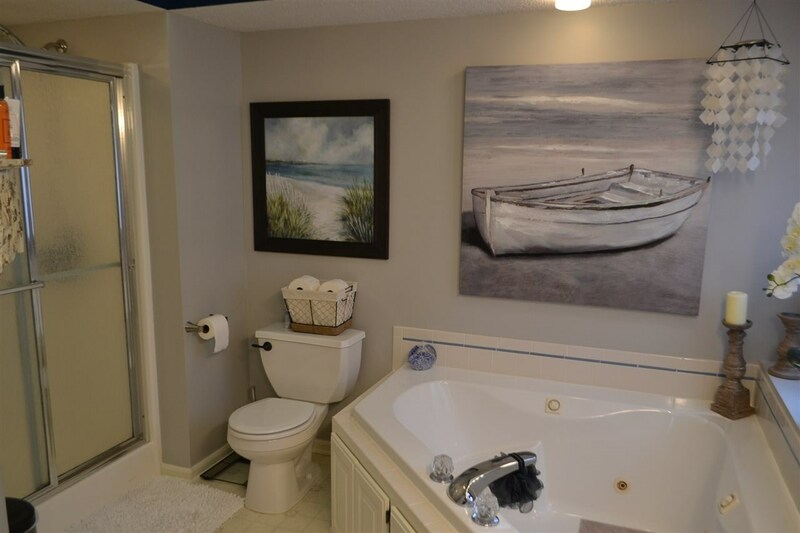 Fabulous master bath with corner Jacuzzi tub with rain-glass windows above, double vanities, separate 4ft shower and large walk-in closet! 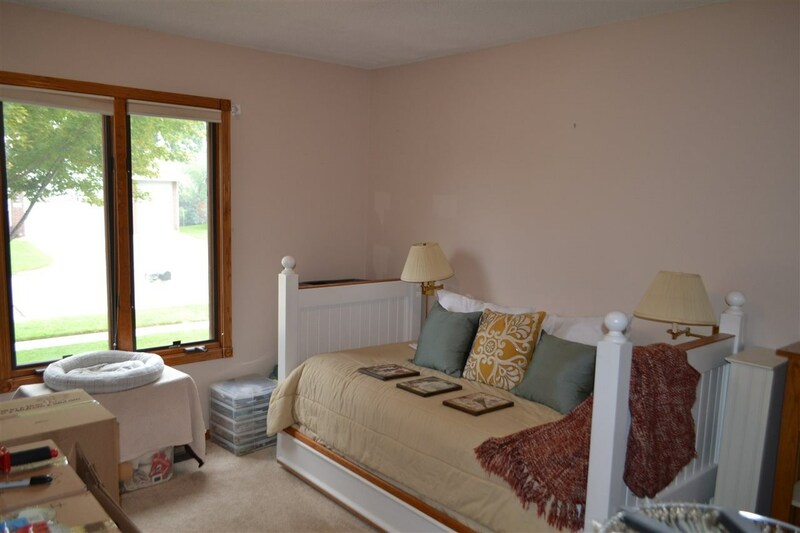 Extra bedroom with double windows and large closet! 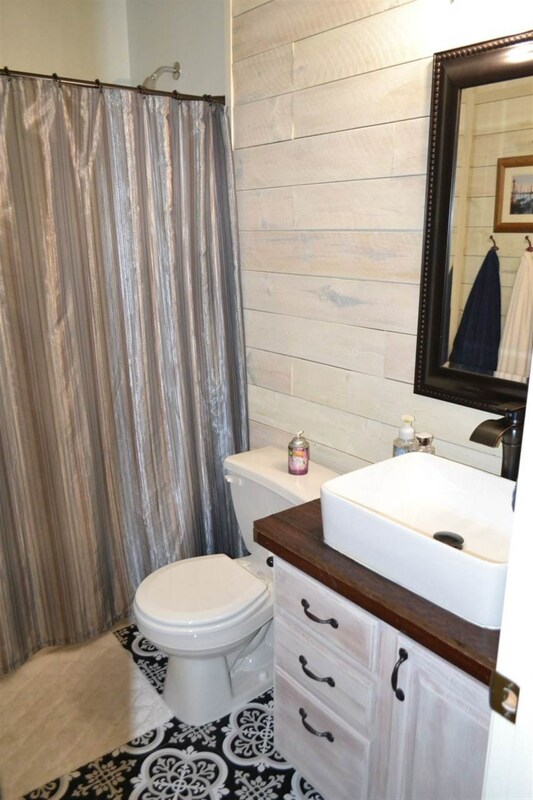 Totally remodeled hall bath with shiplap walls, whitewood vanity with upgraded top mount sink and faucet, tub/shower, tile floor and hallway linen storage! 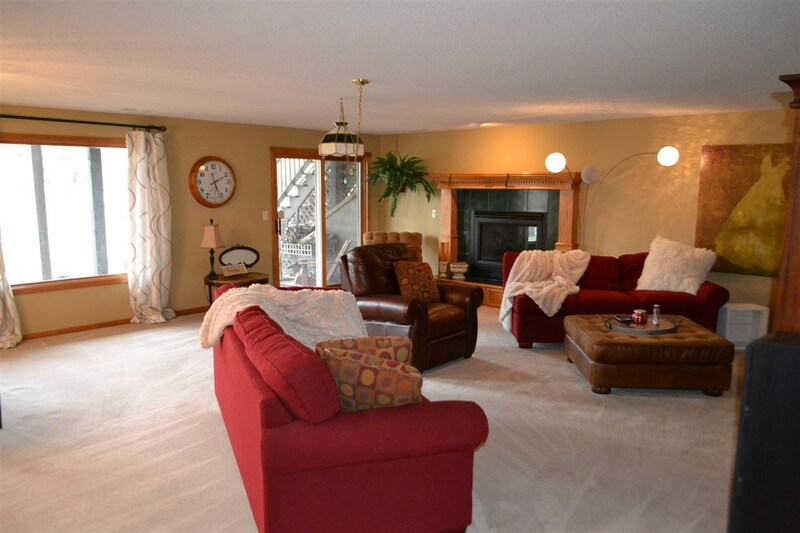 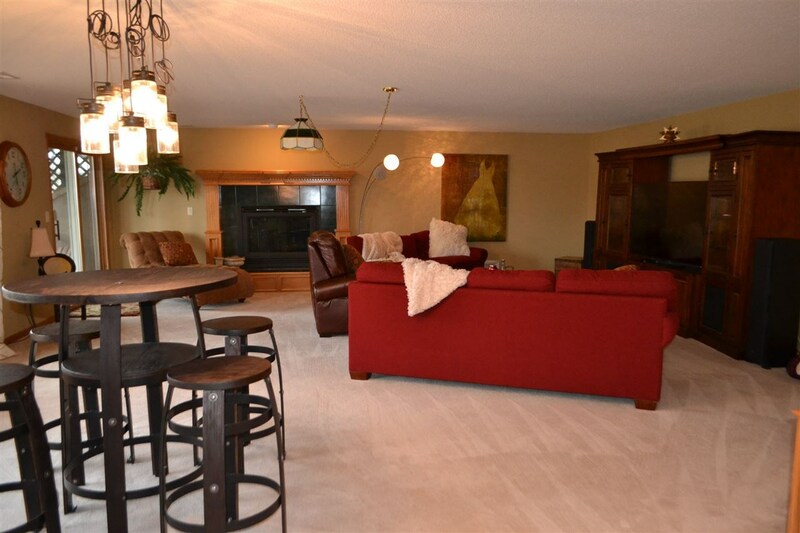 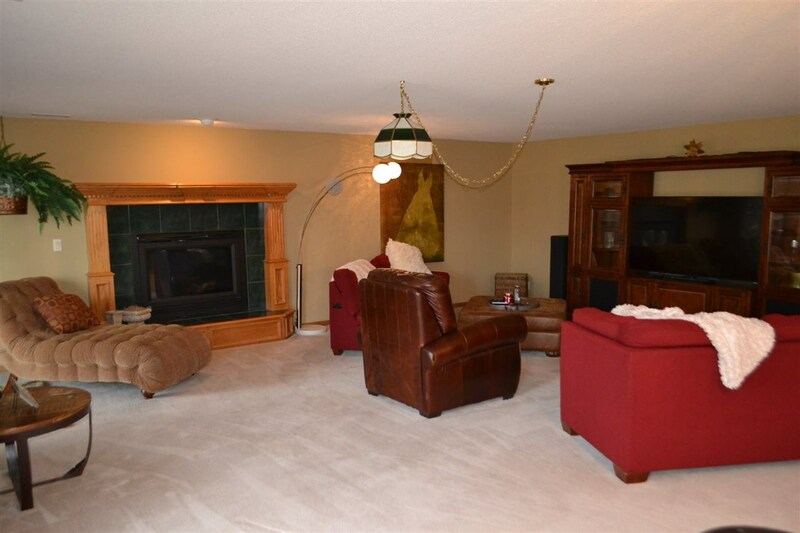 Incredible family room in true walkout basement with wood and tile faced gas fireplace with fluted wood columns, walkout patio doors, pool table space and open rail stairway! 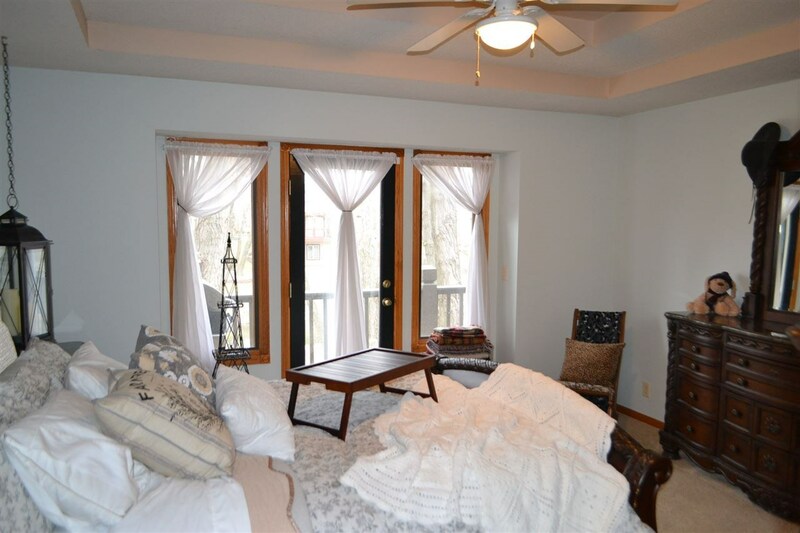 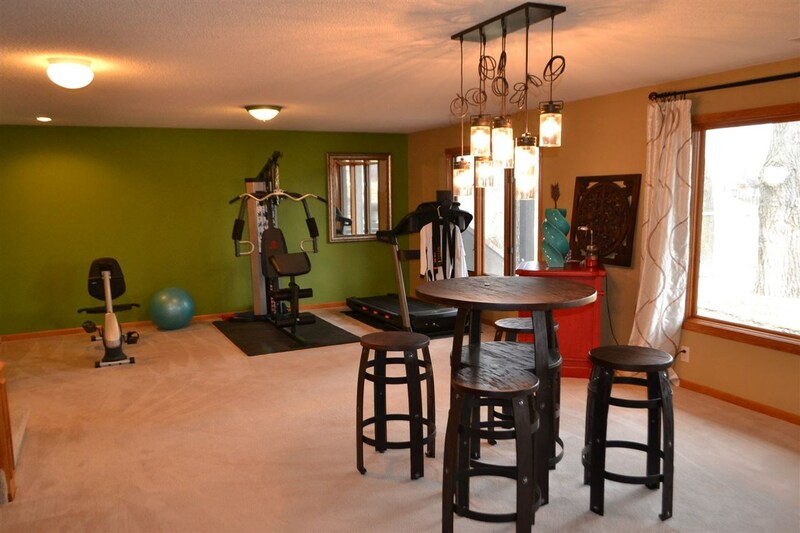 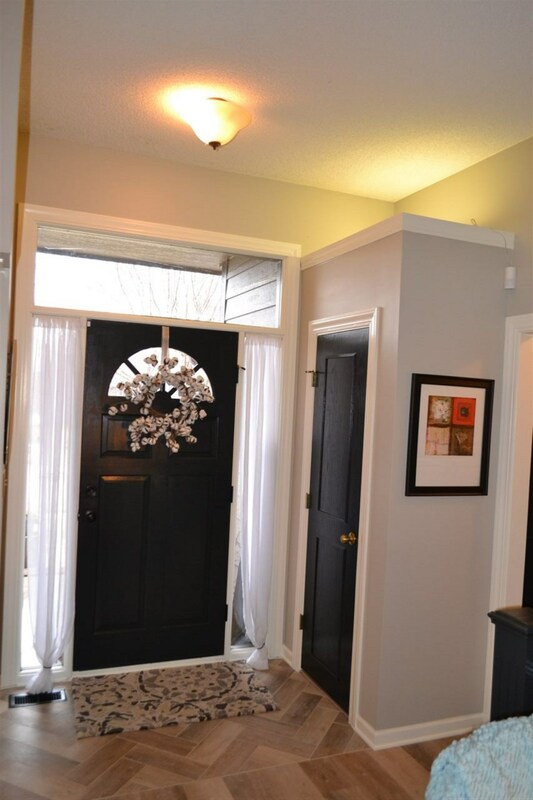 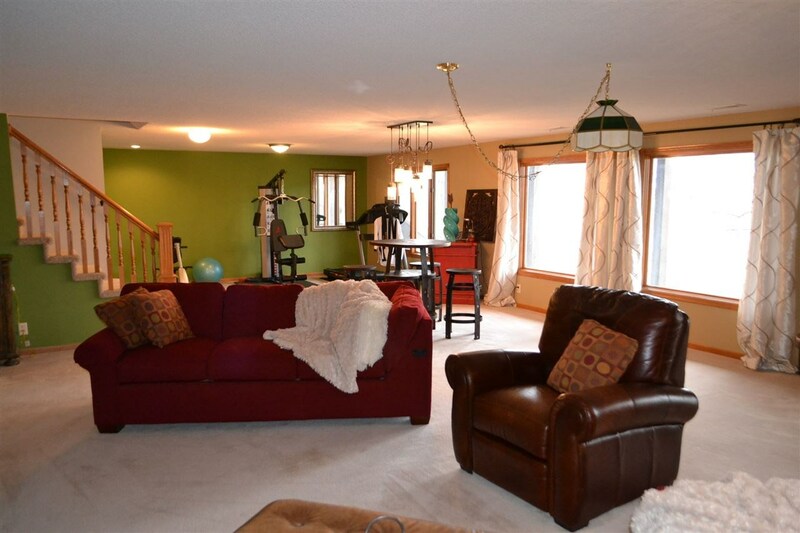 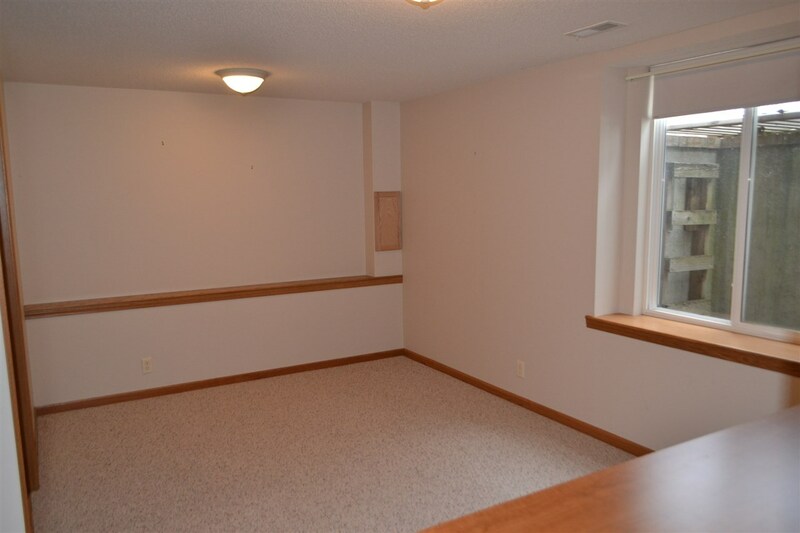 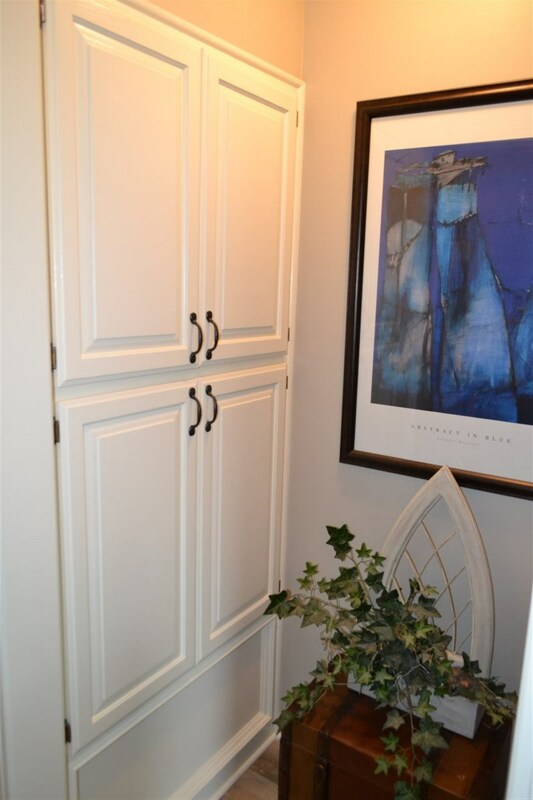 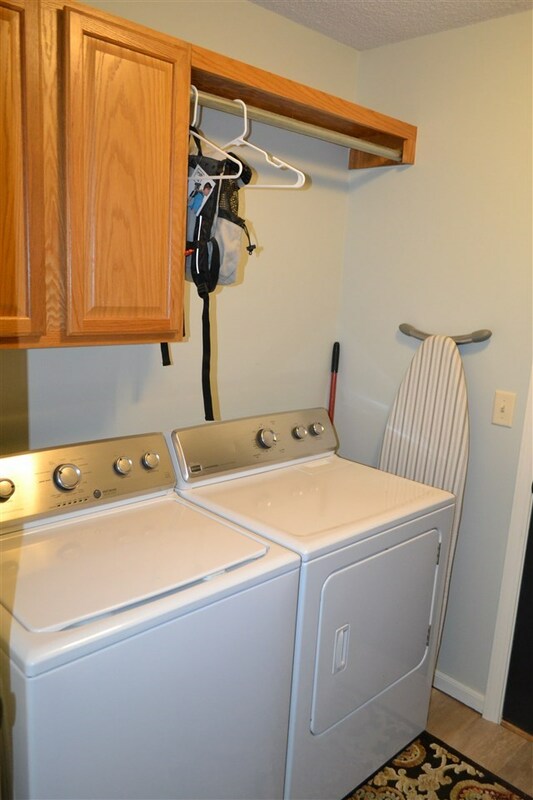 Large basement bedroom with daylight windows and large closet! 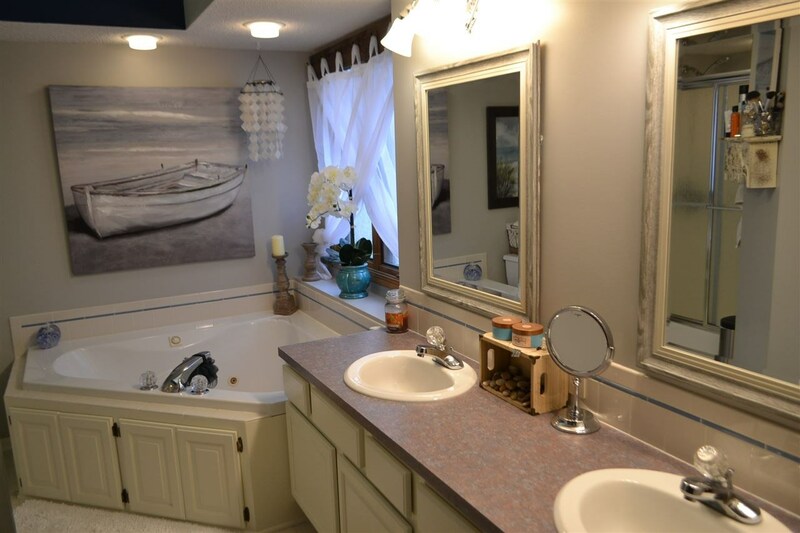 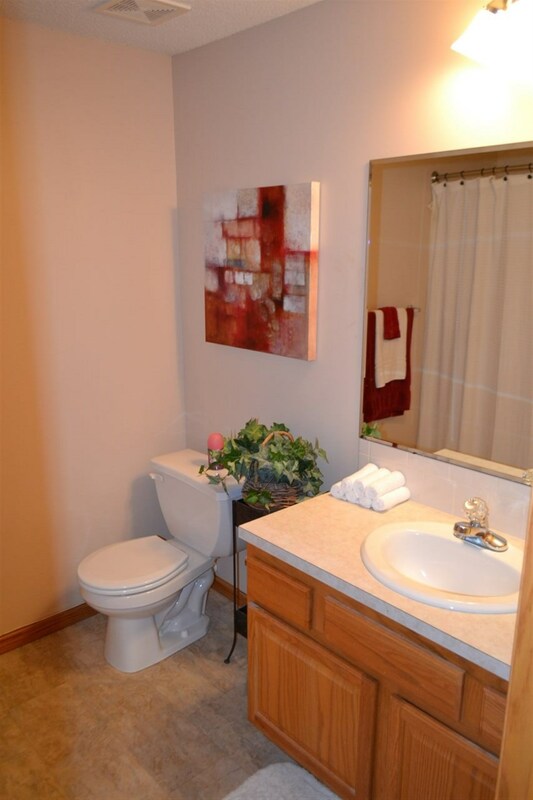 Basement bath with large vanity and tub/shower! 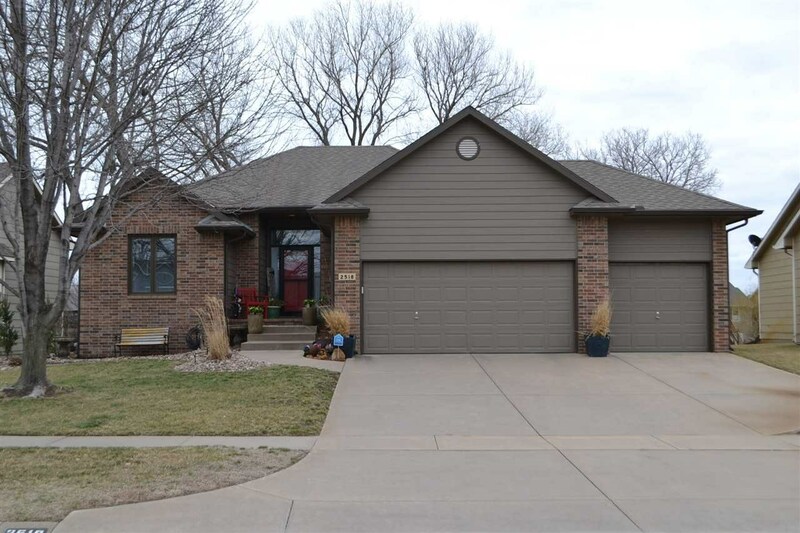 3 car garage with opener and door to yard! 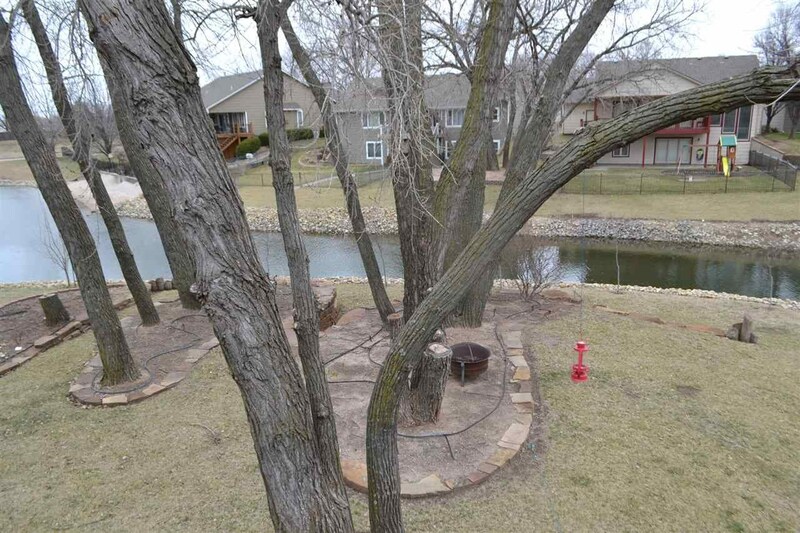 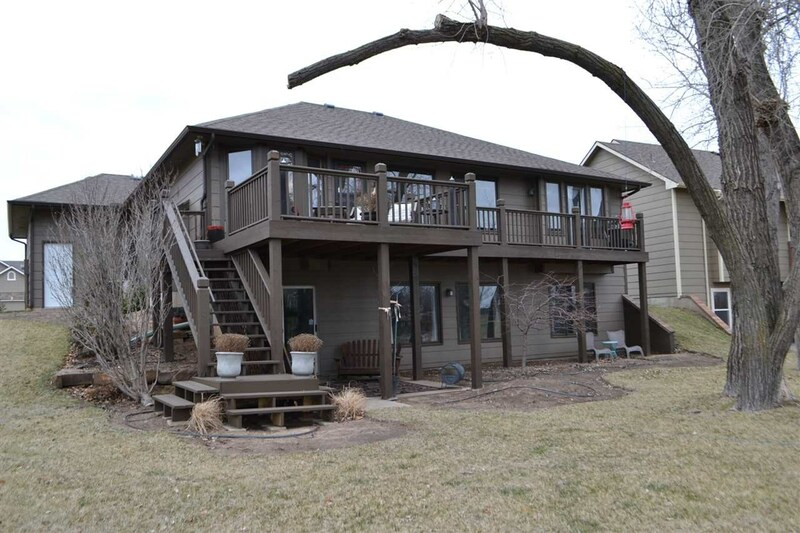 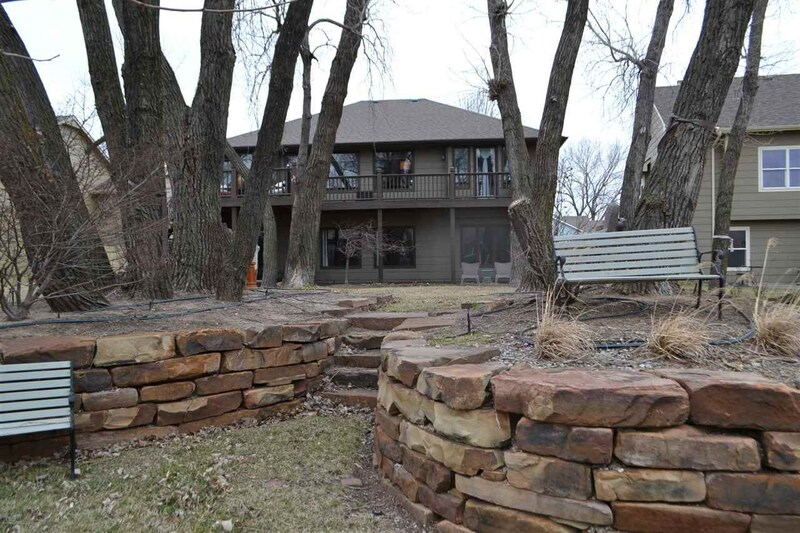 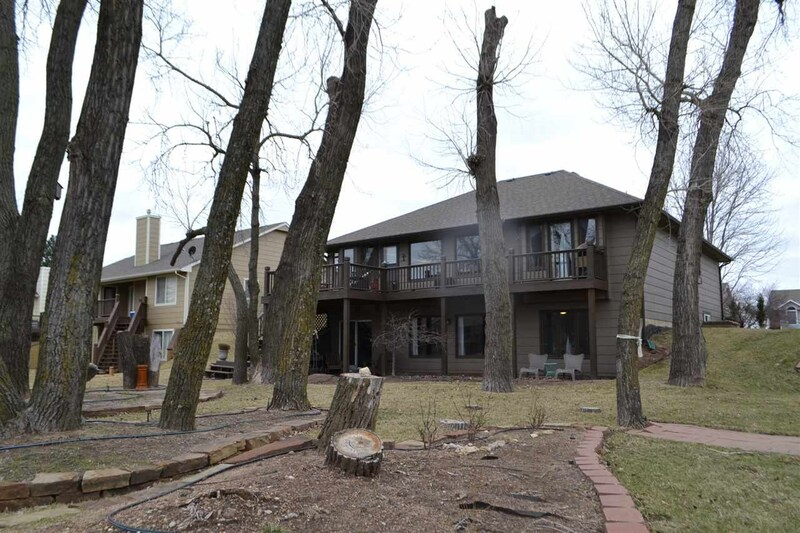 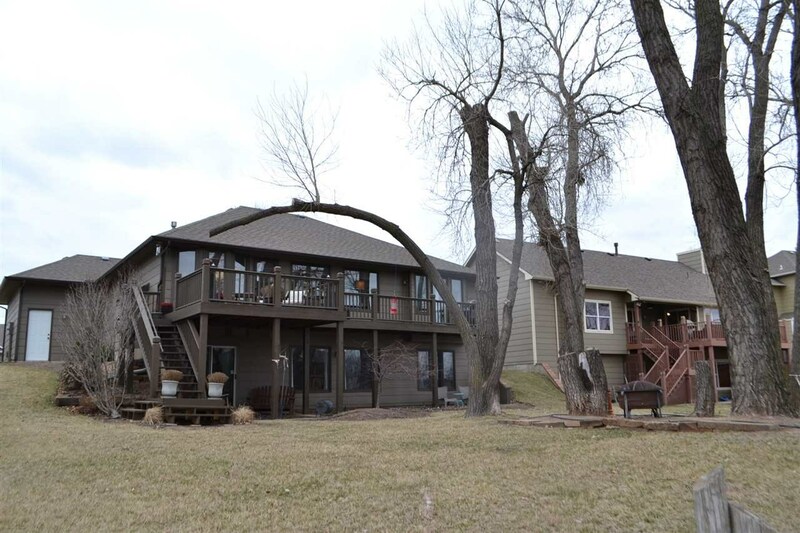 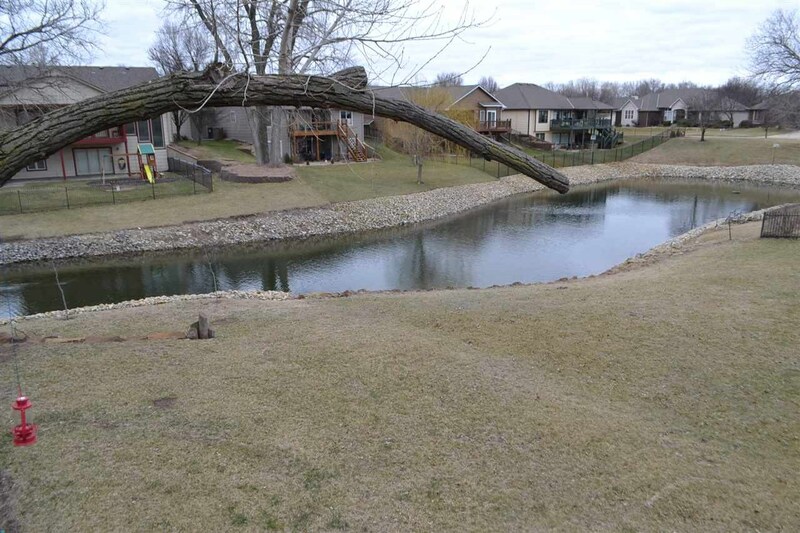 Super deck with patio below overlooking large mature trees and lake with fountain!